﻿ Inconel 625 Spiral Wound Gasket, Alloy 625 Metal Gasket Exporter. 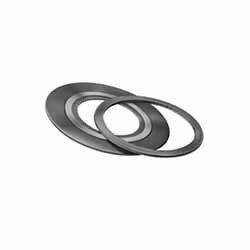 Alloy 625 Ring Gaskets Manufacturer, Inconel 625 Spiral Wound Gasket Exporter, Inconel 625 RX Gaskets Supplier In India. Amcometals is an ISO 9001:2015 certified company that is focused on delivering highly durable products. We are a manufacturer, trader, stockiest, supplier and exporter of Inconel 625 Gaskets that are multi-purpose gaskets fighting off corrosion and oxidation and surviving operations stretching over different temperatures. Our product range consists of products that are carefully manufactured to meet the demands of the market. Our Inconel 625 Insulation Gaskets that are primarily used in flanged pipe connections where dissimilarity between different types of flanges may result in corrosion. 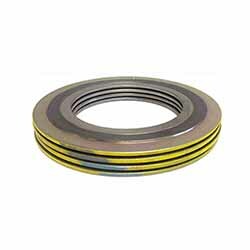 We supply Inconel 625 Spiral Wound Gaskets to the high pressure service industries since they are exacted as a precise solution for pressure vessels and boilers. We also deliver Inconel 625 Graphite filler and Octogonal Gaskets. 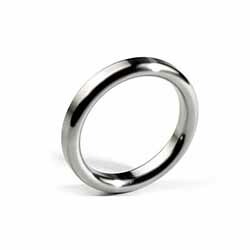 We make sure that all our products are dimensionally accurate with top notch finish and high in usability as well as strength. For the past 25 years we have consistently strived to deliver products that have excellent usability and are highly economical. ASTM B564 Octagonal Gasket Manufacturer, Inconel 625 O Ring Gasket Exporter, Alloy 625 Grooved Gaskets Supplier In Worldwide. Austria, Angola, Belarus, Macau, Afghanistan, Serbia, Estonia, Lebanon, Gambia, United States, Namibia, Mongolia, Bulgaria, Poland, Peru, Ecuador, Argentina, South Africa, Slovakia, Yemen, Tibet, China, United Kingdom, Turkey, Pakistan, Thailand, Australia, Ghana, Portugal, Azerbaijan, Lithuania, Croatia, Qatar, Zimbabwe, Nigeria, Bhutan, Canada, Iran, Bangladesh, New Zealand, Vietnam, Romania, Venezuela, Spain, Chile, Chile, India, Colombia, Denmark, United Arab Emirates, Morocco, Ireland, Philippines, Iraq, Singapore, Russia, Belgium, Israel, Bahrain, Trinidad & Tobago,Tunisia, Czech Republic, Algeria, Libya, Finland, Bolivia, Nepal, Nigeria, Kenya, Switzerland, Mexico, South Korea, Sri Lanka, Greece, Saudi Arabia, Kuwait, Poland, Brazil, Norway, Oman, Ukraine, Egypt, Japan, Hungary, Sweden, Italy, Germany, Kazakhstan, Jordan, Mexico, Hong Kong, Taiwan, France, Costa Rica, Indonesia, Netherlands, Puerto Rico, Malaysia, Gabon, Iran. Nagpur, Melbourne, Aberdeen, Manama, Bhopal, Al Jubail, Milan, Moscow, Kolkata, Singapore, Rajkot, Ludhiana, Ahvaz, Istanbul, Thiruvananthapuram, Hanoi, Edmonton, Dammam, Toronto, Colombo, Houston, Surat, Busan, Caracas, Santiago, Bangkok, Rio de Janeiro, Muscat, Howrah, Granada, Ulsan, Cairo, Hong Kong, Chennai, Mexico City, Sydney, Noida, Pune, Vadodara, Bogota, Petaling Jaya, La Victoria, Indore, Dubai, Geoje-si, Doha, Kanpur, Jamshedpur, Chiyoda, Madrid, Nashik, Courbevoie, Sharjah, Montreal, Coimbatore, Jeddah, Chandigarh, Brisbane, Abu Dhabi, Atyrau, Visakhapatnam, Ho Chi Minh City, Secunderabad, Seoul, Dallas, Mumbai, Navi Mumbai, Jaipur, Bengaluru, Port-of-Spain, Ernakulam, Calgary, Hyderabad, Al Khobar, Lagos, Algiers, Kuala Lumpur, Riyadh, Haryana, Lahore, Kuwait City, Gimhae-si, Vung Tau, Perth, Ranchi, Baroda, London, Thane, Ankara, Faridabad, New York, Jakarta, Karachi, Gurgaon, Tehran, Pimpri-Chinchwad, Los Angeles, Ahmedabad, New Delhi.